Step inside Bellagio Las Vegas and you instantaneously can see the luxury from the Dale Chihuly glass sculpture overhead in the lobby to the shiny marble corridors that transport you to some of the most luxurious brands on the planet. Bellagio Las Vegas allows you an experience of decadent window shopping. 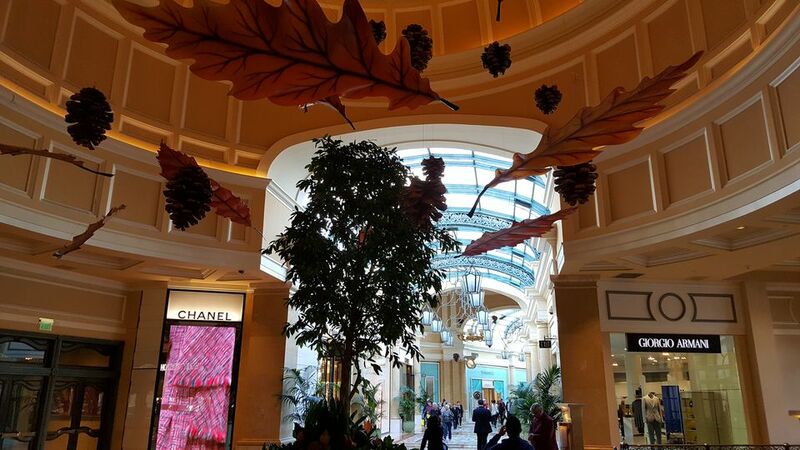 As a whole, Bellagio resort is worth visiting even if you do not have the big dollars to spend on shopping. The free attractions that include the Fountains, the Gardens, the giant chocolate fountain, and the Dale Chihuly sculptures are something to see. Restaurants such as Lago with its impressive views and Le Cirque with its world-class experience are must-dos as well. The Via Bellagio is a collection of high-end shops. The space is a wonderful combination of high glass ceilings and bright polished marble. If you look through the windows on the south side you get a great view of the Bellagio fountains. It’s small and the shops seem uninviting unless you have big money to burn. If you would rather wait for someone while they shop, have a meal at Noodles off the Casino floor. The atmosphere is casual and you actually will feel like you are saving money compared to the prices at the shops. Shopping at Bellagio can be found throughout the resort with shops located in seemingly every corner of the main casino floor and surrounding corridors. They can be expensive and at times outrageously overpriced but the clientele at Bellagio Las Vegas is all about luxury and they do provide the very best of the best. Place for the non-shoppers: Go play some 8 – 16 hold ‘em at the Bellagio Poker room or grab a drink at Olives. Lago is open for lunch and the lounge there is just right for a long afternoon cocktail while someone else is spending your money. The Bellagio Gallery of Fine Art is a great spot to look for a diversion from shopping and you can actually do a little shopping after your visit with a purchase of some art or art related memorabilia.